Our Cranbrook small dresser is the perfect combination of function and style. 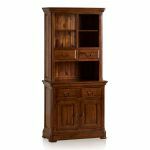 It boasts plentiful storage, and has a great display area, combined with elements of traditional furniture design and contemporary style. 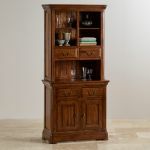 It's made from solid hardwood in a striking dark-stained finish, which is complemented by antique brass hardware. Ideal for the modern dining room, this Welsh dresser has thick hardwood shelves to safely display your favourite items, as well as cupboard and drawer storage. 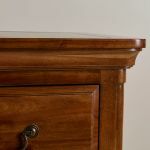 We've poured attention to detail into every aspect of Cranbrook's design, including dovetail joints on the drawers, and solid hardwood used even in the hidden areas, such as the backs, bases, and drawer runners. 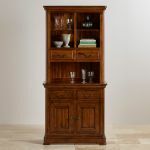 The Cranbrook range is categorised by beautiful flared cornices and deep pedestal base, perfectly blending the best of past and present design. 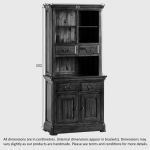 Browse all the stunning pieces from our Cranbrook collection today!